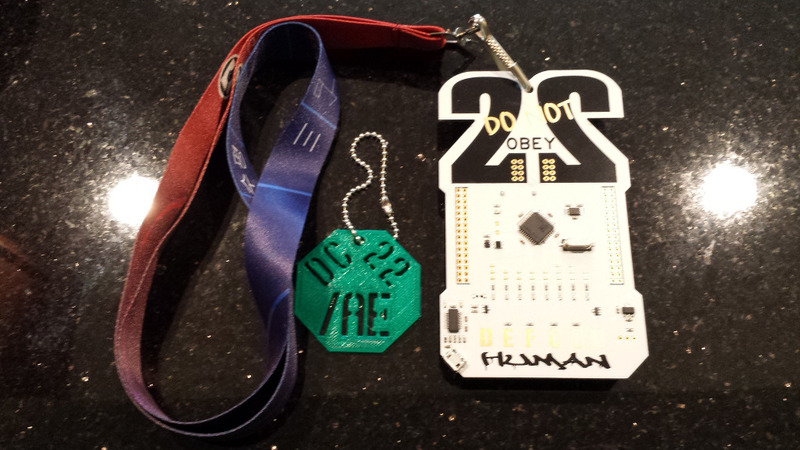 I attended Defcon 22 this last week, this was my 6th Defcon. The guys at ConHam organized an exam session at the conference and in what may be the world record setting license exam session for number of examinees I passed element 4 and upgraded to Amateur Extra. The ConHam guys were running five VE teams who were grading non stop. From before noon until well after 3pm there was a line out the door,down the hall, and folded back around. The room was packed, people waiting to test on (a large majority) stayed seated and those stopping waited at the back of the room. I think the room had about 48-56 seats for examinees. When I left the room after passing my exam I asked the goon(defcon term) controlling access to the room and he said the counter was over 190. I attribute the popularity of the exam session to the fact the official Defcon22 scavenger hunt had an item for "Get or upgrade your ham radio license." and also to the fact there was a massive turn out for the Wireless Village this year. The conference had what looked to be 40-50% first time attendees from a show of hands done in several of the talks I went to including the massive closing ceremonies. Around the conference there was a stream of people asking lots of questions about what the radio clipped to my bag was for and how to get in to ham radio.